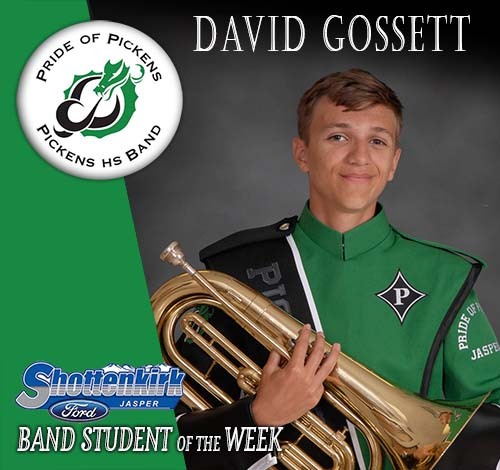 Our Band Student of the Week is David Gossett. David is a sophomore baritone player in the marching band and plays euphonium and trombone in the Symphonic Band. David has shown consistent improvement since arriving in high school and will be serving as baritone section leader for the marching band next year. He is funny, energetic, witty, and a great contributor to our band program. We are proud to have him in our band family. Congratulations, David Gossett!